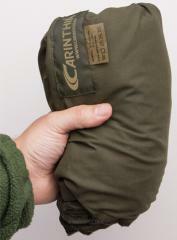 A lightweight sleeping bag liner, gives you a little bit of extra insulation and helps a lot with keeping your main sleeping bag: these are easy to wash without wearing out the filling of the actual sleeping bag. Tight little face hole for good protection against the elements and full length zipper. 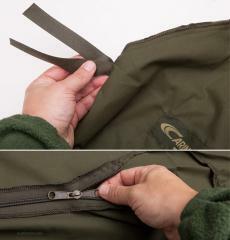 The ties on the sides are used to anchor the liner into place inside the sleeping bag. Available in two sizes, for people up to 185 and 200 cm. Made from a 50/50 poly/cotton blend, easy to wash and wear resistant.